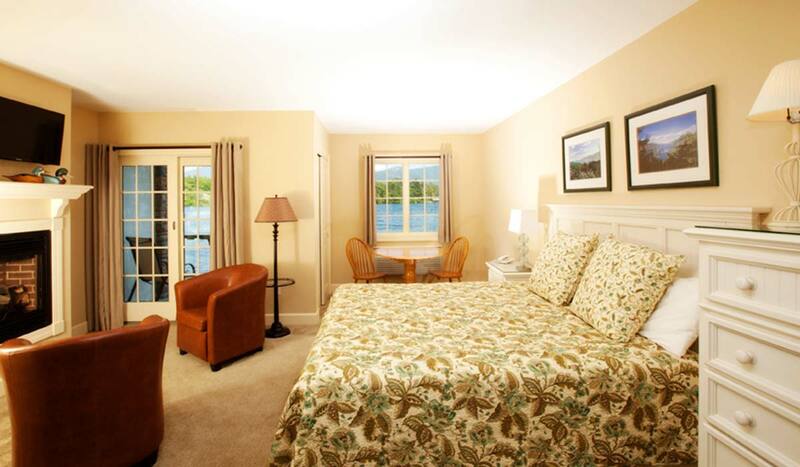 Located in the base of the Lodge, these 3 newly constructed rooms are just 2 feet from the water’s edge. All units have one king- size bed. One unit has a gas fireplace. 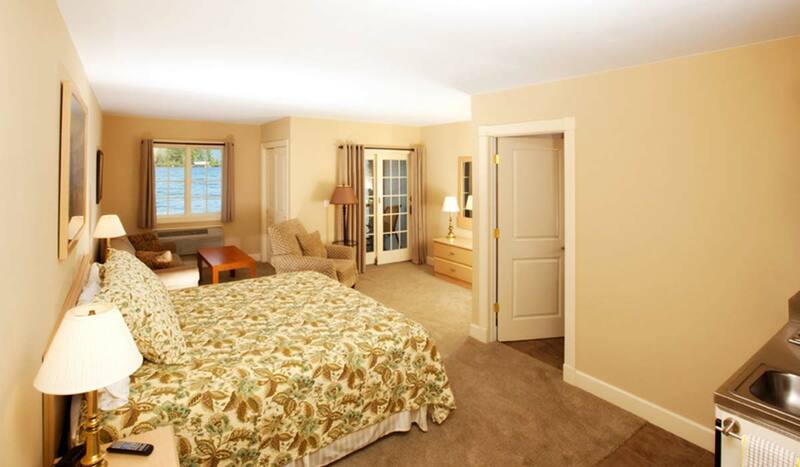 Amenities in all 3 units include kitchenette with microwave, AC and heat, Flat Screen TV, walk-in rain head showers and private lakefront verandas. Breakfast is included in season.